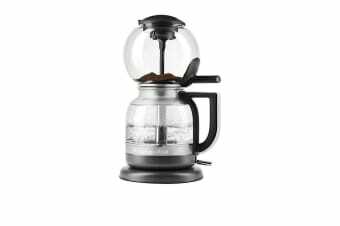 Siphon coffee (also known as vacuum coffee) is a full immersion craft brewing method which produces crisp, clean and complex coffee. 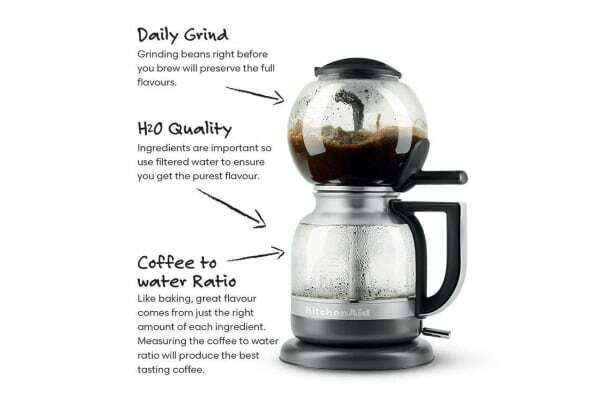 During the brewing process, the aroma of the coffee is trapped inside the unit as the fresh coffee is fully and evenly saturated with hot water. 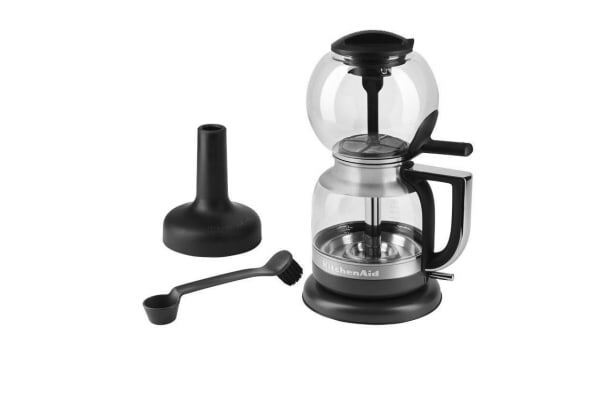 The KitchenAid Siphon Coffee Brewer takes care of this process for you with the flick of a switch and takes the guesswork out of the siphon process … you will be fascinated to watch this distinctive appliance at work. Easy to clean and supplied with 3 x re-usable cloth filters, a cleaning brush and coffee scoop, this exceptional machine does not require paper filters. Enjoy the difference!